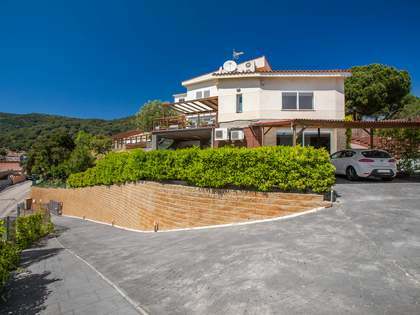 Family house with 5 bedrooms with beautiful sea views for sale in El Mas Coll, with private garden and pool. 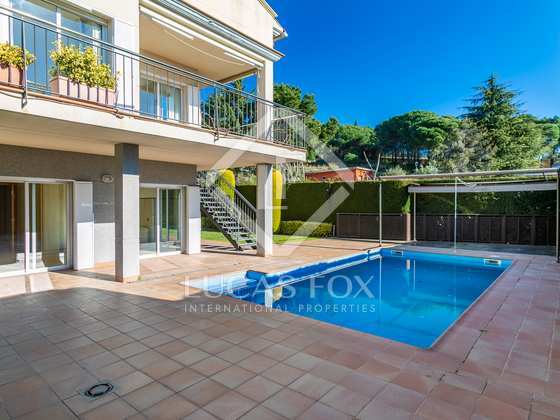 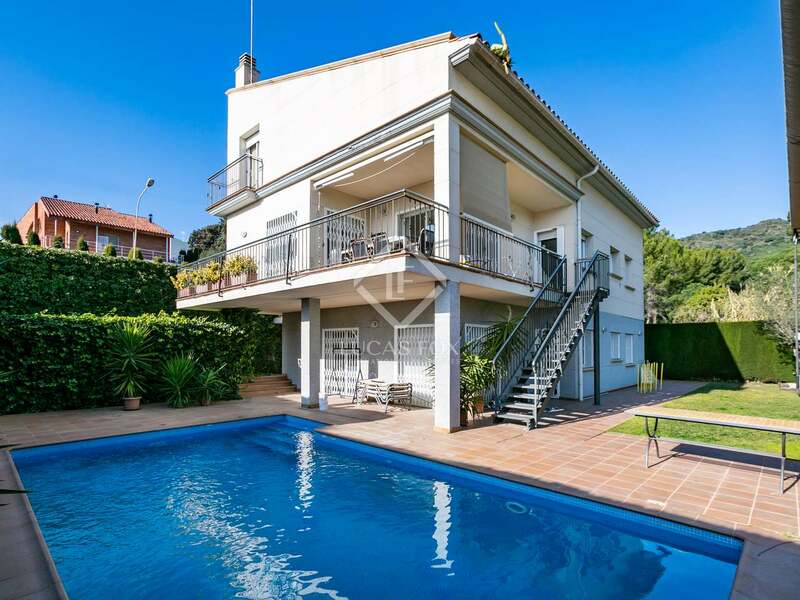 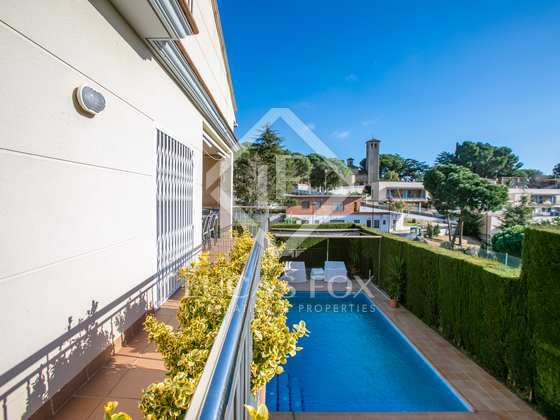 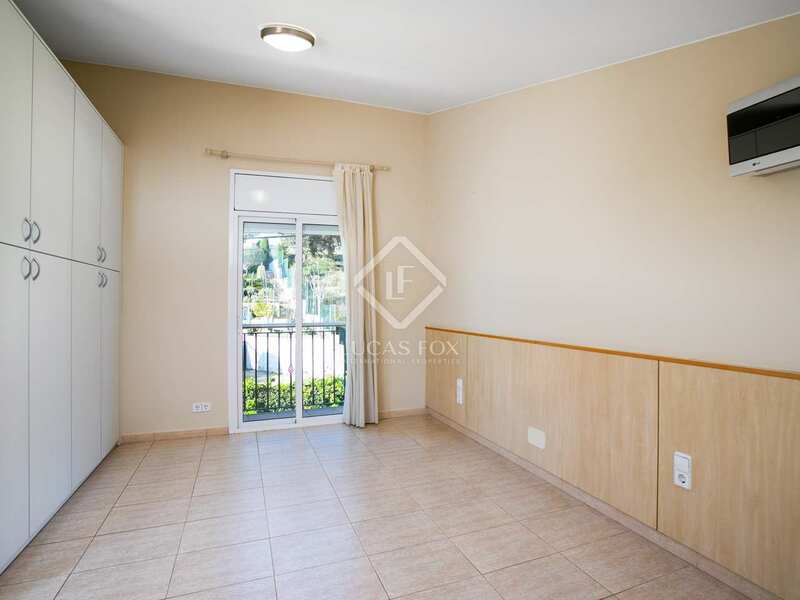 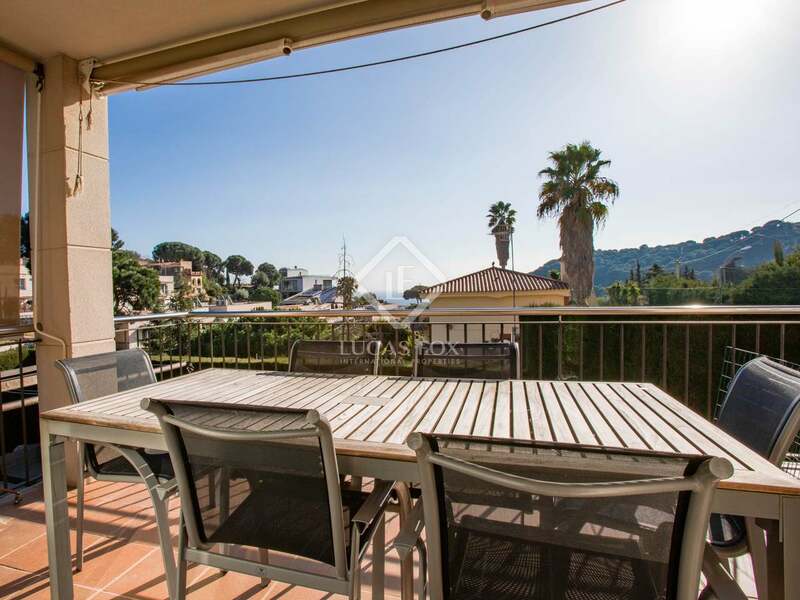 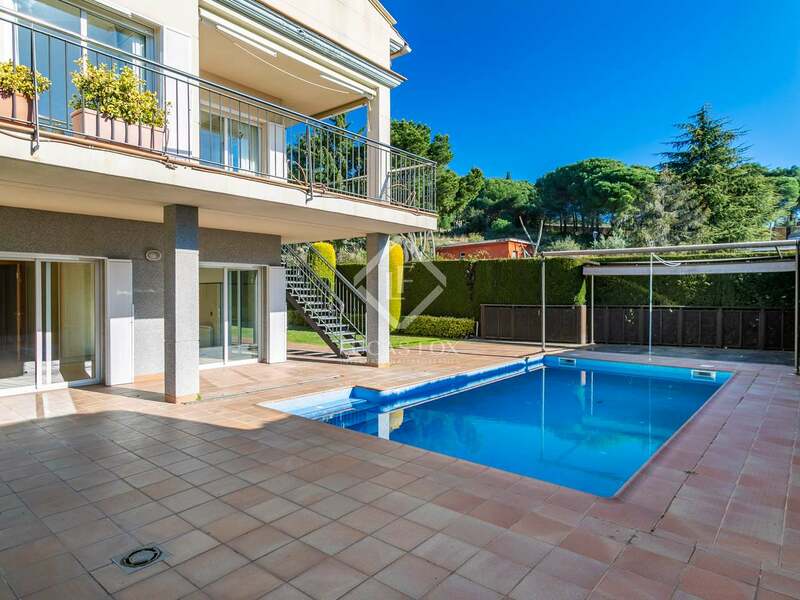 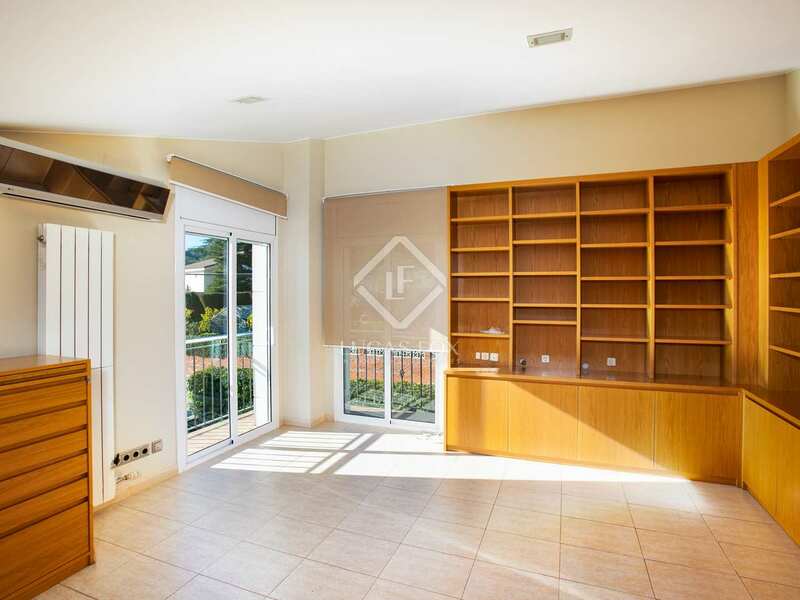 This detached house with is located in El Mas Coll, just 5 minutes by car from the centre of Alella, on the beautiful Maresme Coast. 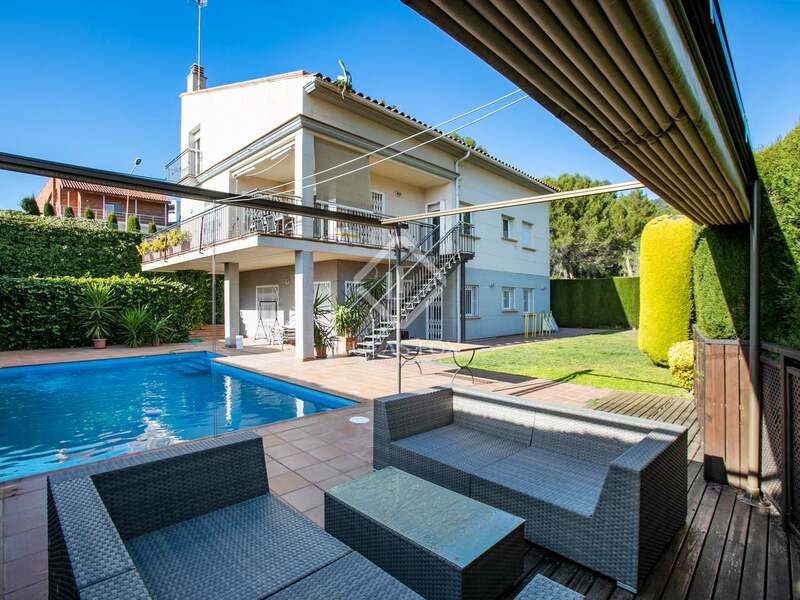 The house is in very good condition and with many possibilities, ideal for a family that wants to escape from the bustle of the city but be only 15 minutes by car from the centre of Barcelona. 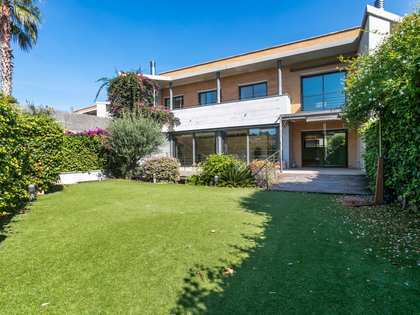 The house enjoys a beautiful garden with areas of natural grass, trees, a chill-out area with a barbecue and a beautiful saltwater pool. 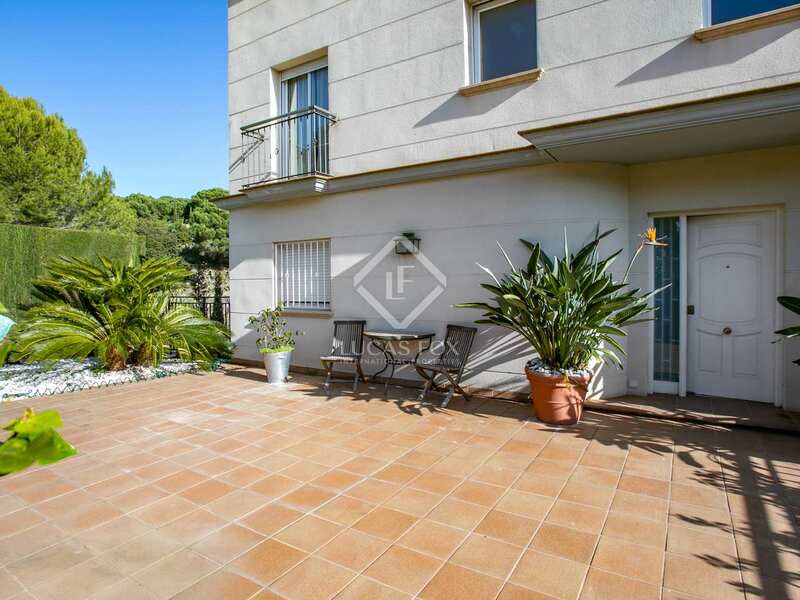 It offers a very practical layout over 3 floors and has very good orientation to the south-southwest, so it receives a lot of sun. 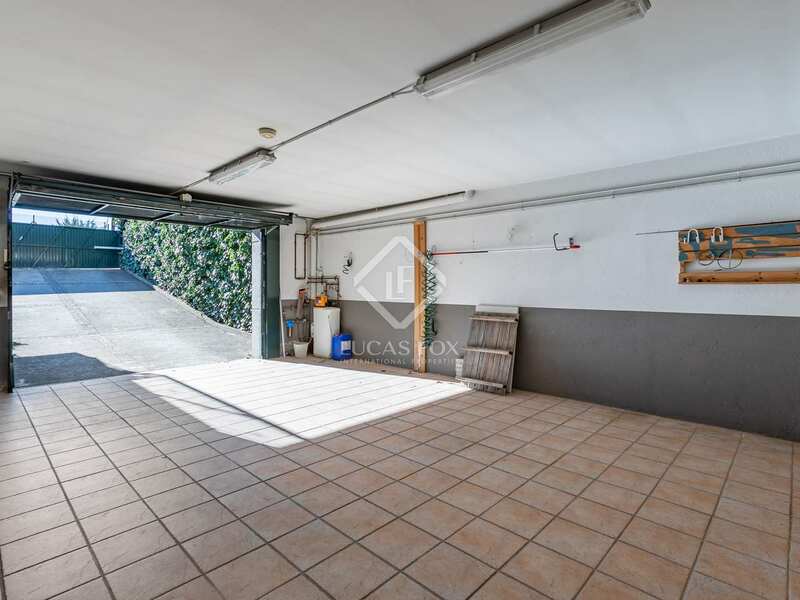 At the garden level we find a garage with capacity for 2 cars, which add to the 2 spaces that can be used on the garage ramp. 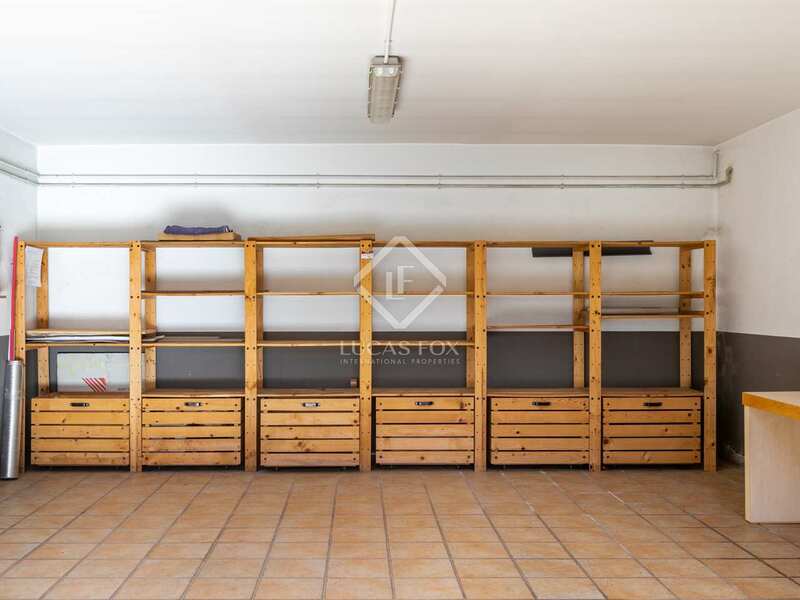 This floor has a large multipurpose room that can be used as a games room, gym or additional living room, according to your preferences, and from which you can go out to the pool. 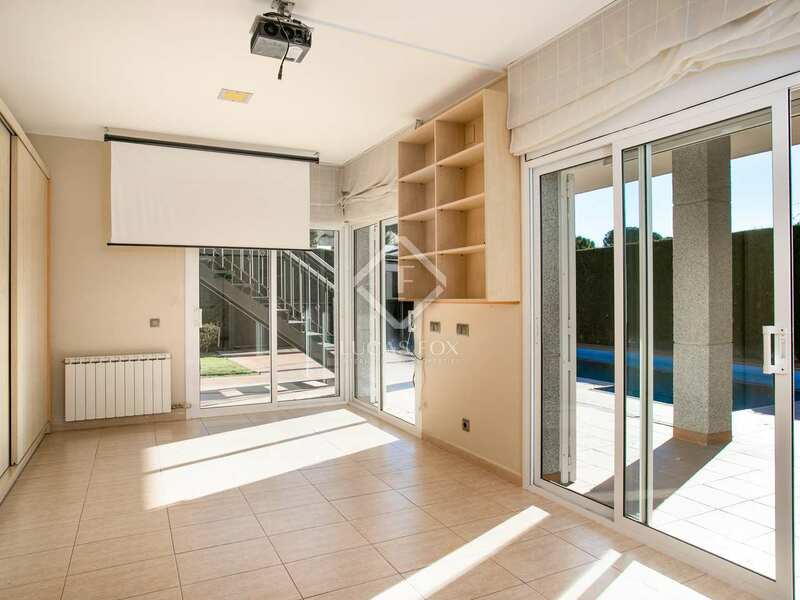 There are also 2 double bedrooms, one with a built-in wardrobe and the other with access to the garden and the pool. 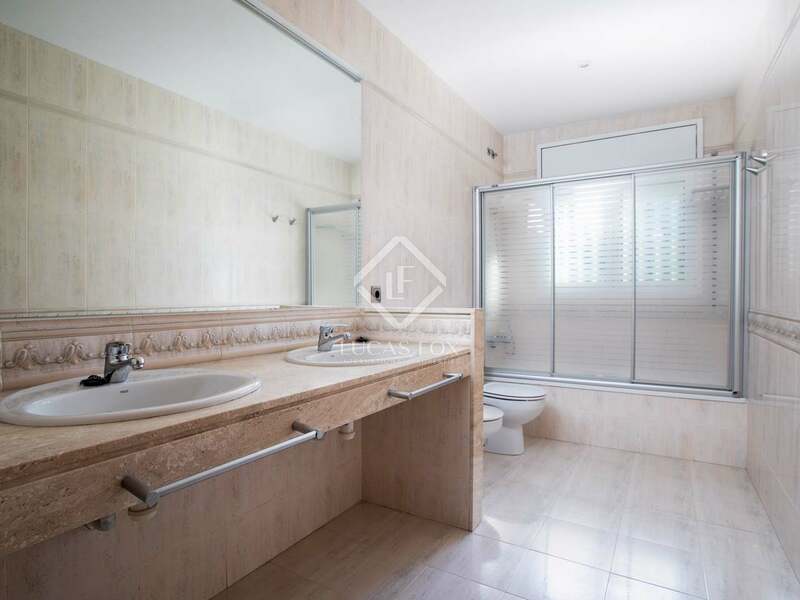 Both bedrooms share a large complete bathroom with a double sink and bathtub. 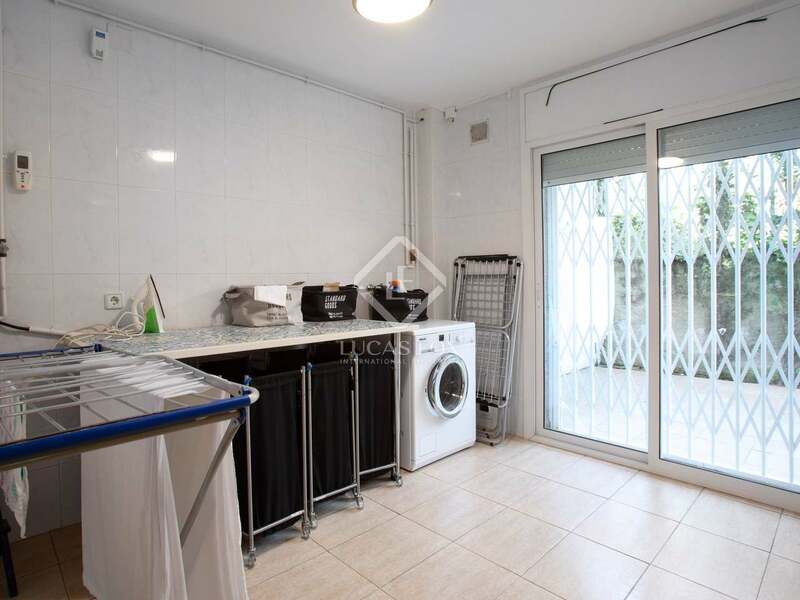 Finally we find a laundry room and installations area with access to the back garden. 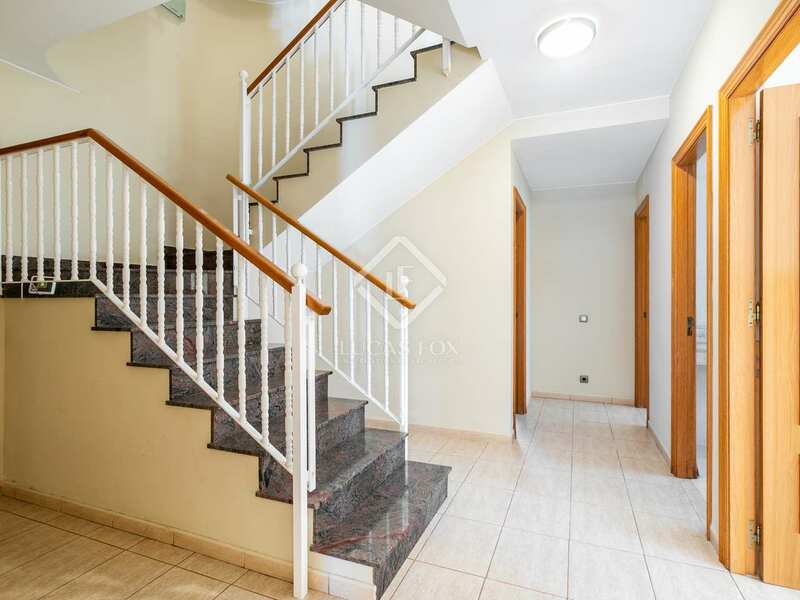 The next floor is the main one. 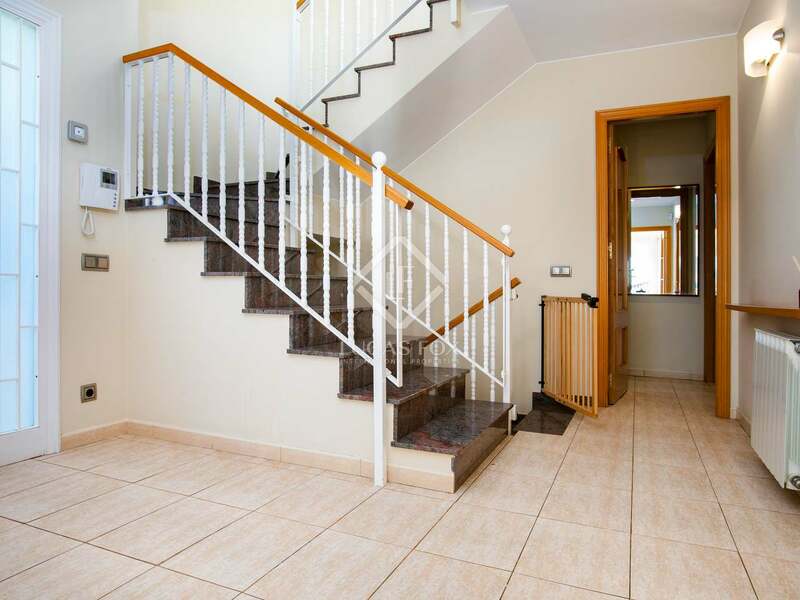 A hallway leads to the spacious living room with a fireplace, which creates a very cozy atmosphere. 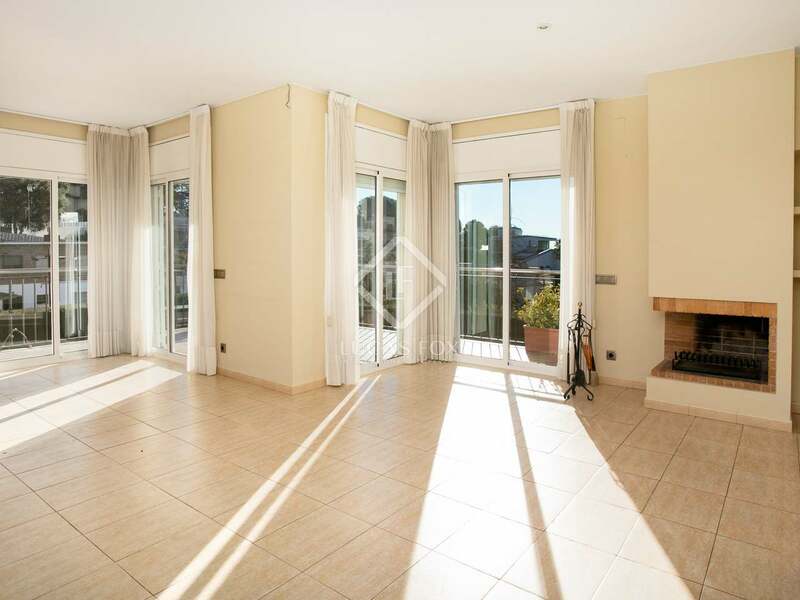 This room has large windows, which allow a lot of natural light in and at the same time give way to a terrace with a dining table. 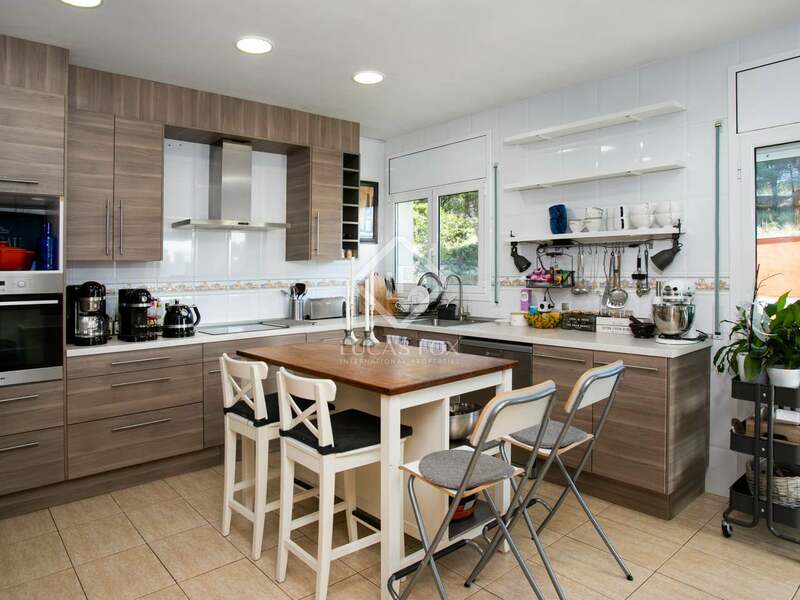 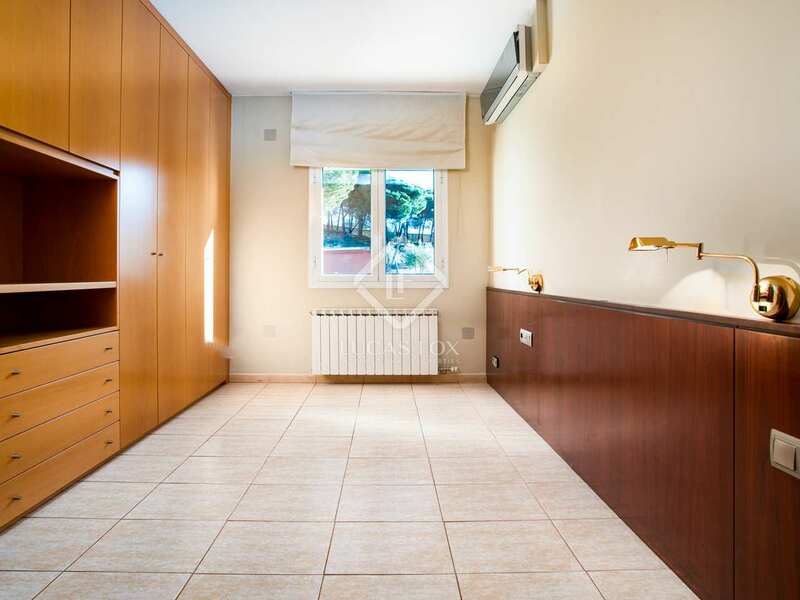 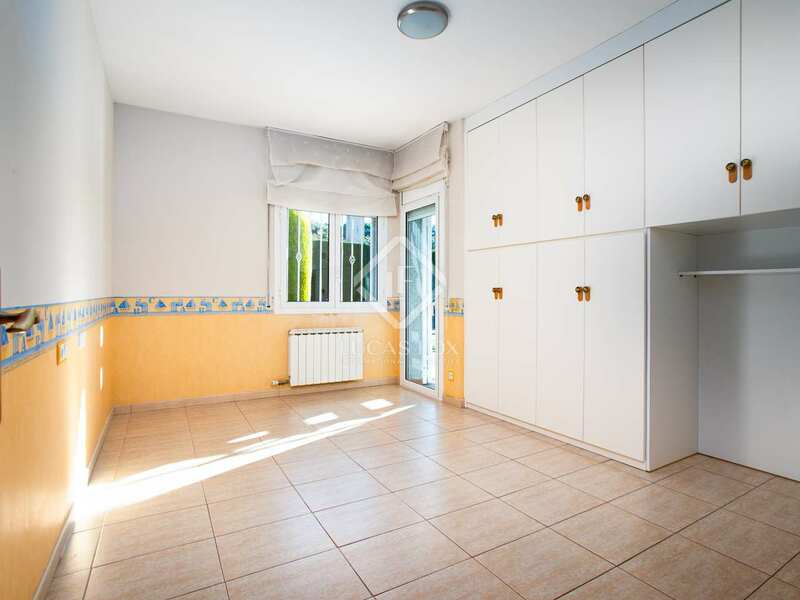 Next is the spacious kitchen, which was renovated in 2014, so it is presented in very good condition. 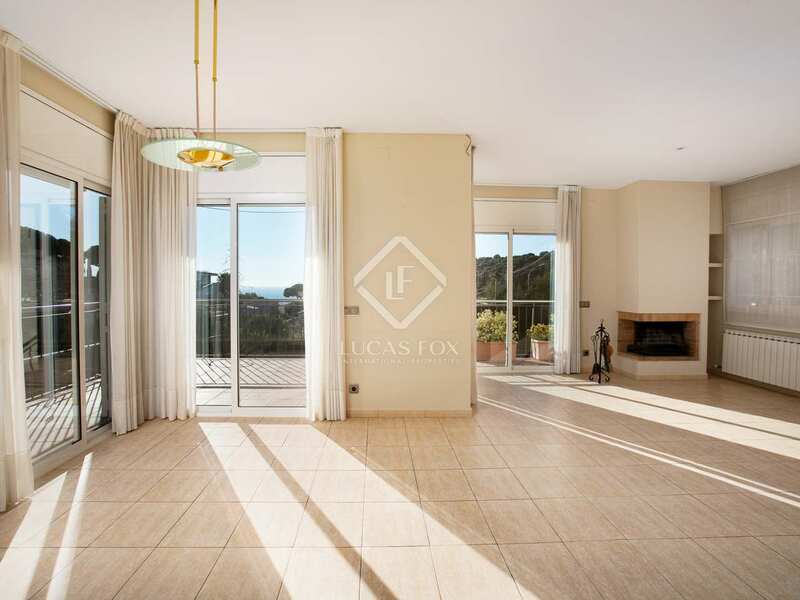 This floor is completed by the master bedroom, which has its own complete bathroom. 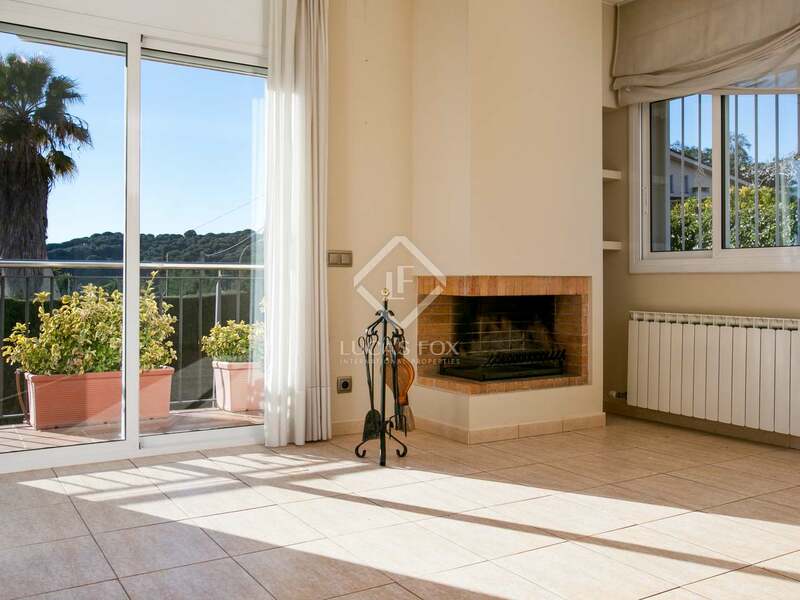 Finally there is the upper floor, with another double bedroom with a built-in wardrobe and access to a small terrace. 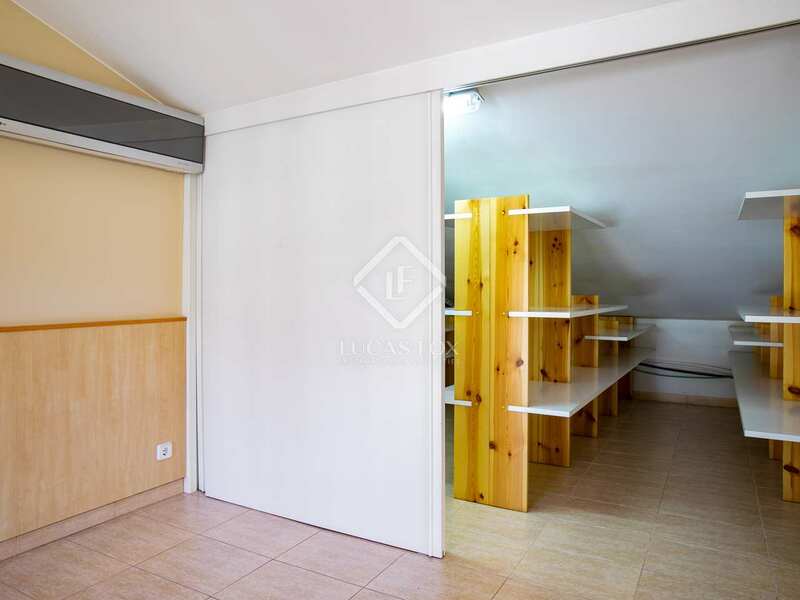 There is also another room that could be used as an office or a bedroom, as you prefer, and a shared bathroom. 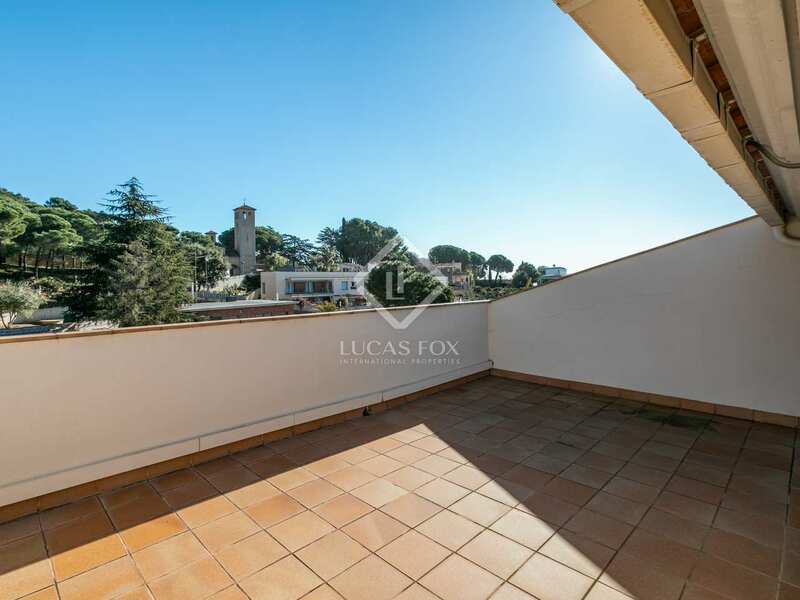 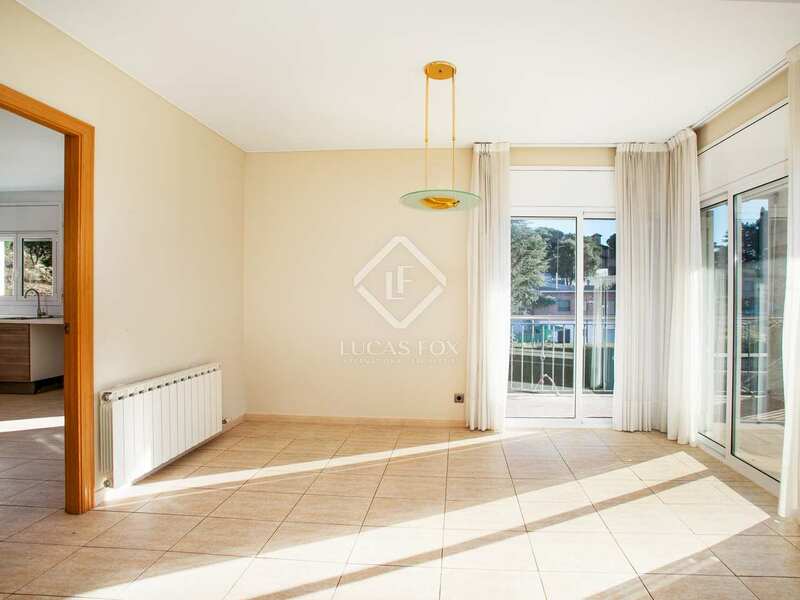 In addition, this floor enjoys a large terrace with fantastic sea views. 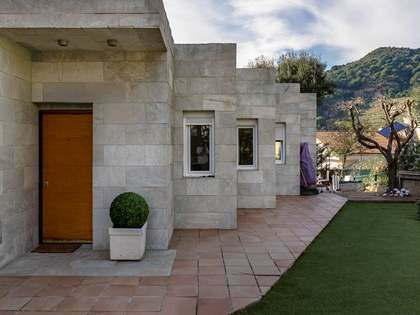 The house is equipped with air conditioning, heating and double glazed windows to ensure maximum comfort throughout the year, as well as an alarm system for total peace of mind and security. 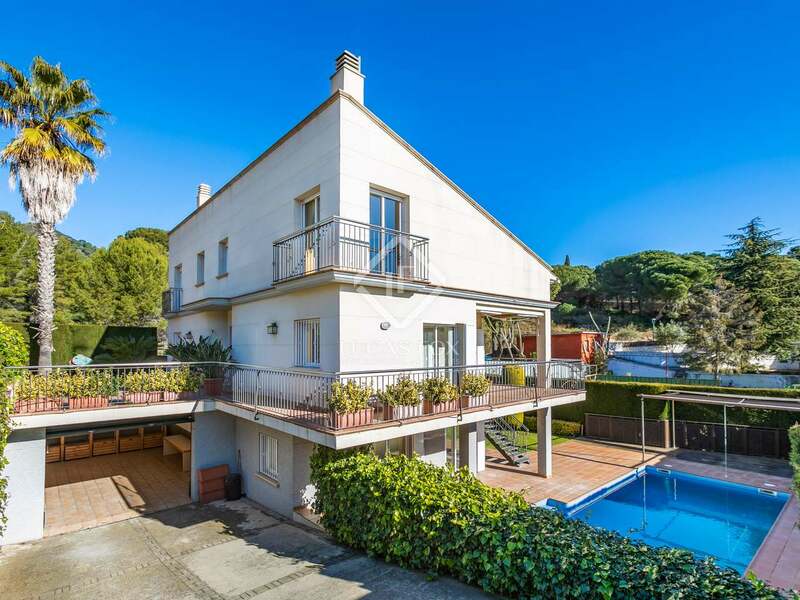 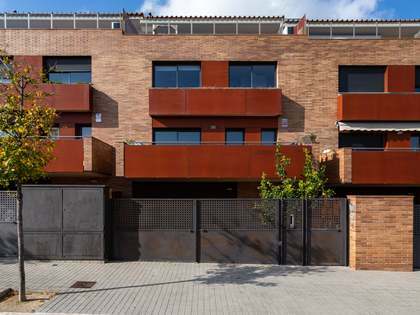 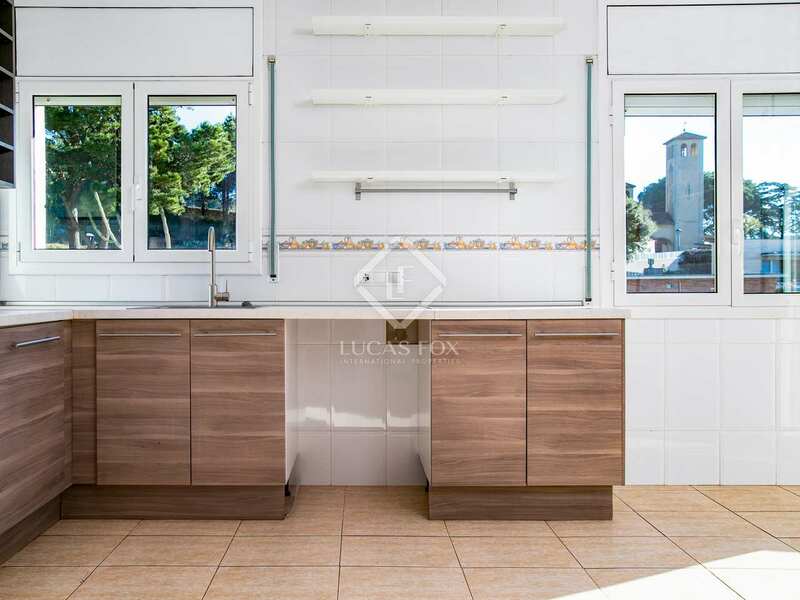 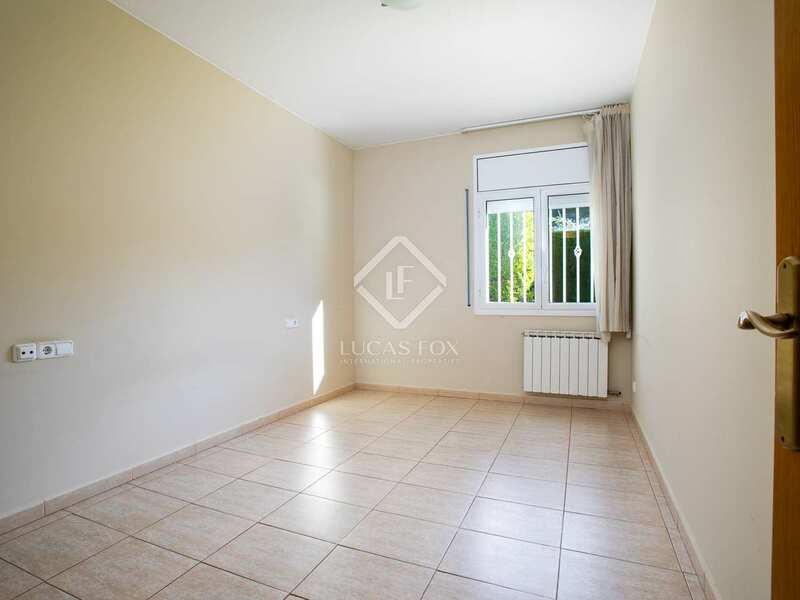 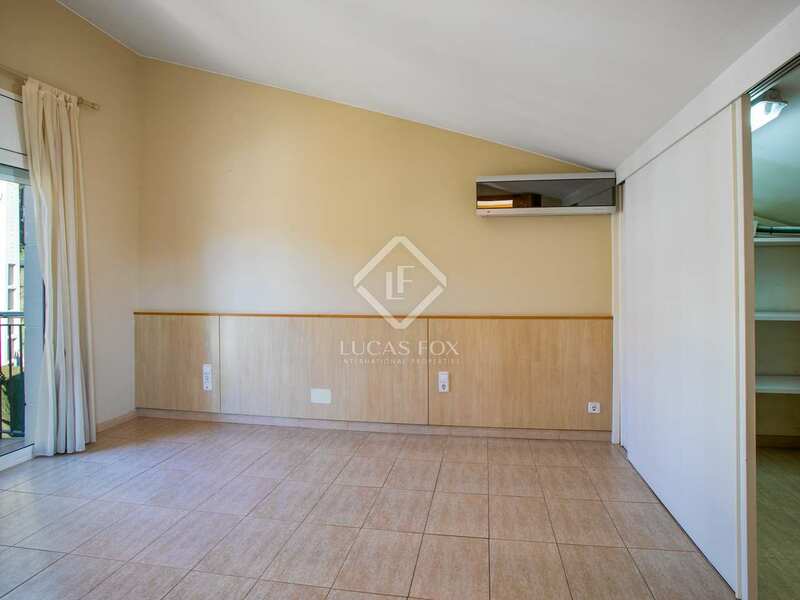 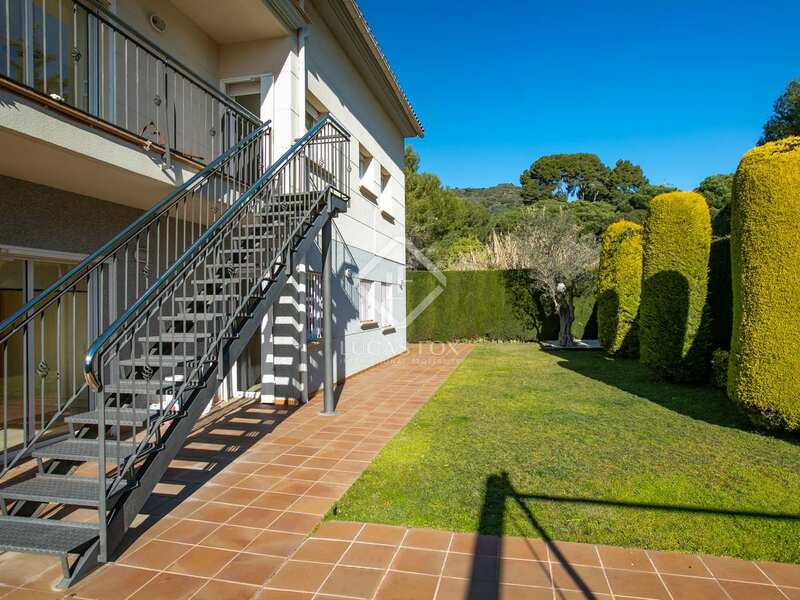 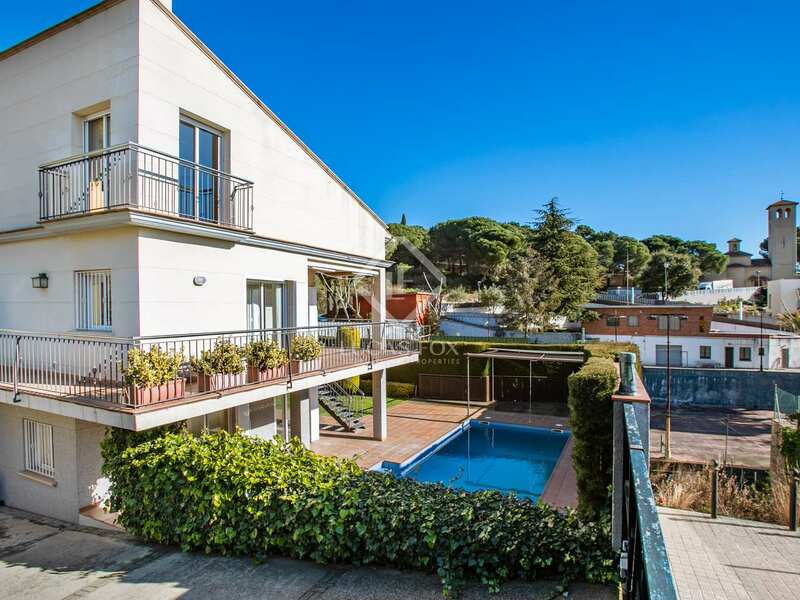 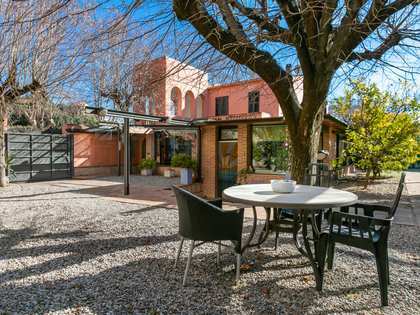 Do not hesitate to contact us to visit this splendid home on the Maresme coast. 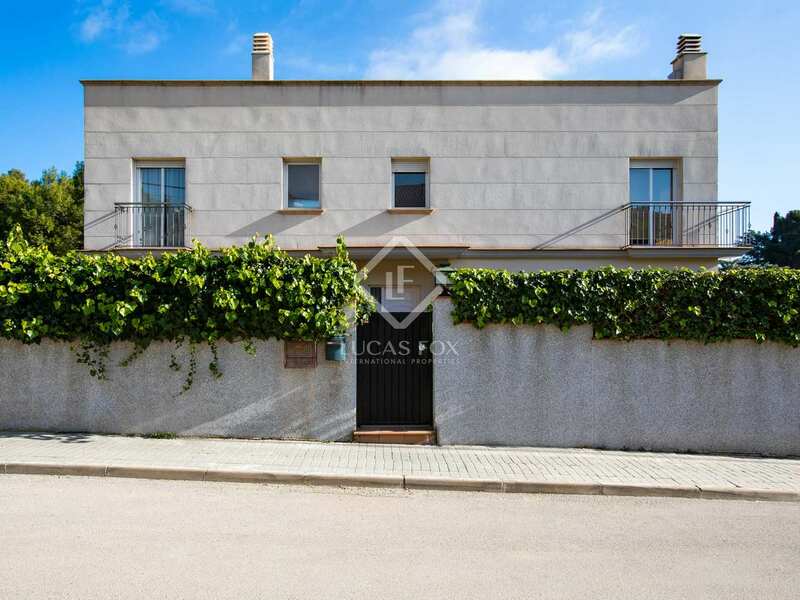 This house is located in El Mas Coll, just 5 minutes by car from the centre of Alella, one of the most coveted towns of Maresme, famous for its wines and its appellation of origin.